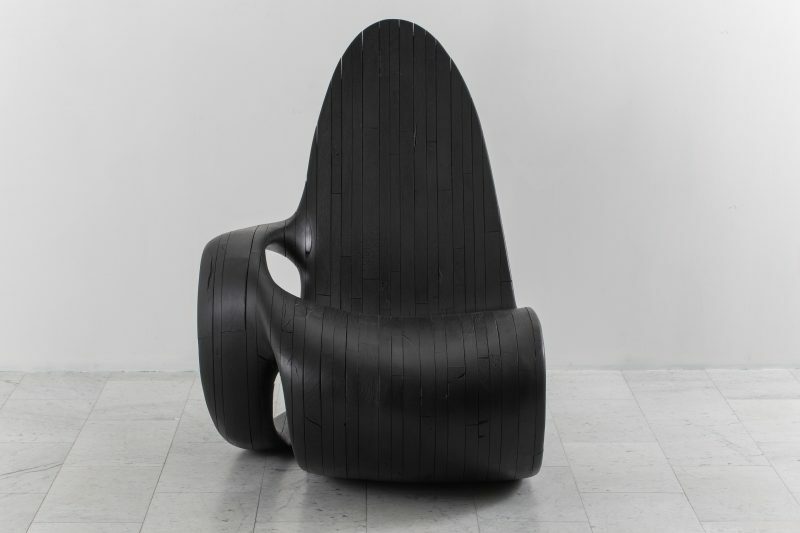 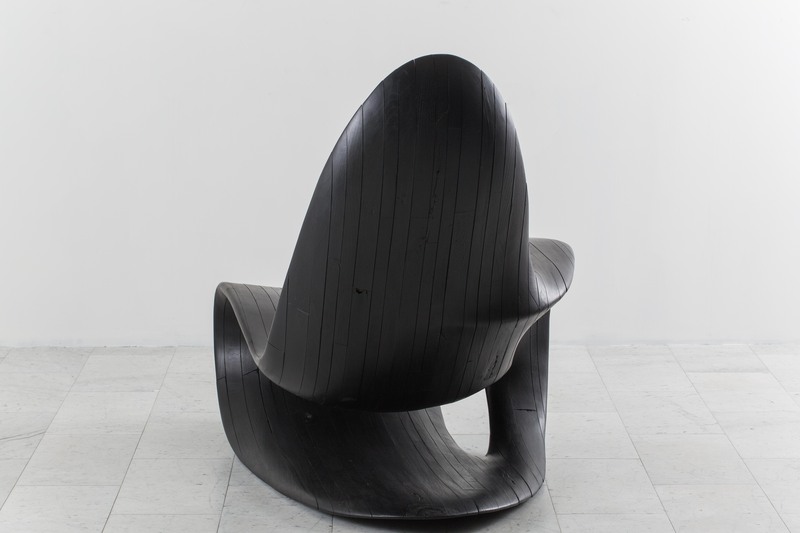 A unique, material-driven sculptural chair by Ian Spencer and Cairn Young of Yard Sale Project, Chaise One explores unprecedented forms in wood. 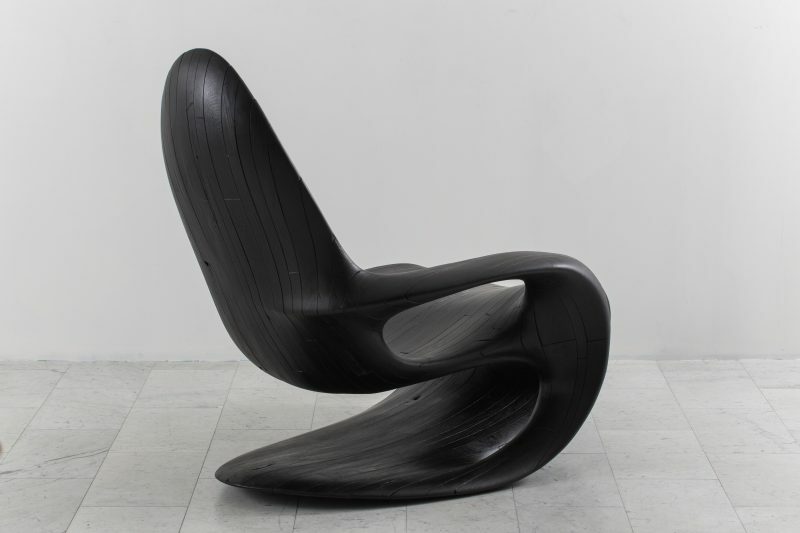 At once inspired by and made to support the human form, the French walnut hand-carved chair evokes a sleek, curving body. 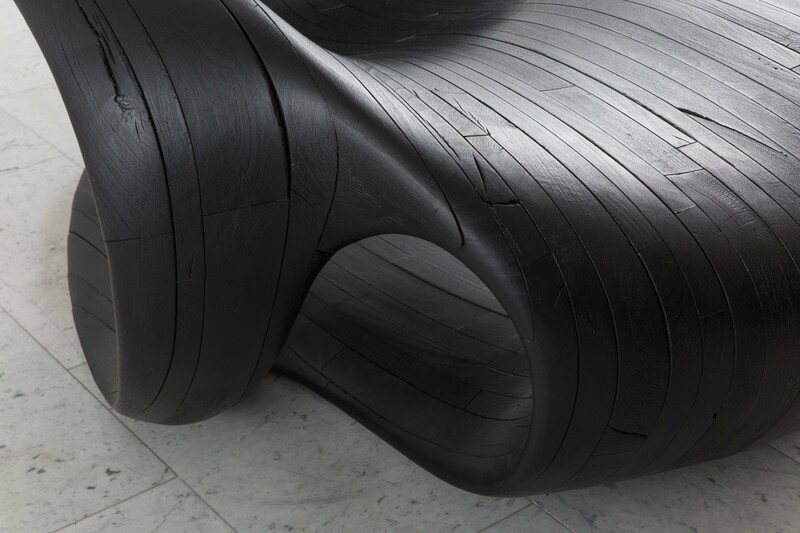 The chaise’s smooth surface highlights the wood’s natural grain, reflecting light to reveal the wood’s beautiful, organic imperfections. 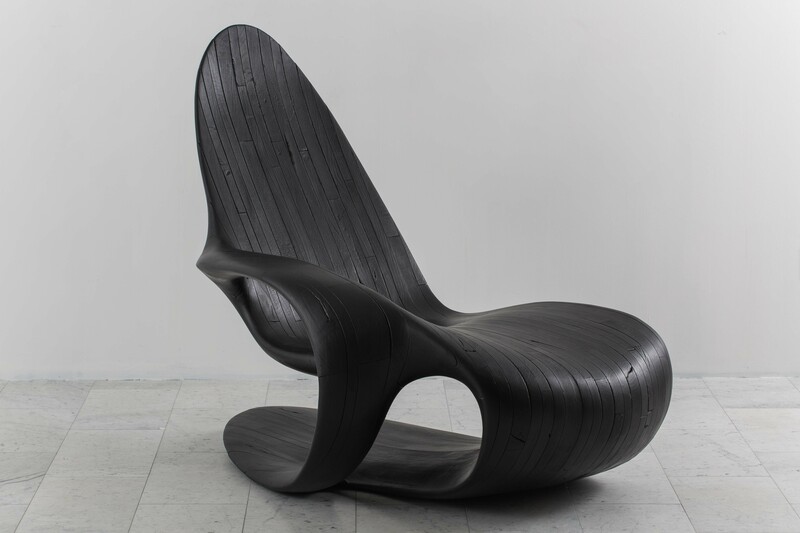 The use of French walnut is both aesthetic and pragmatic. 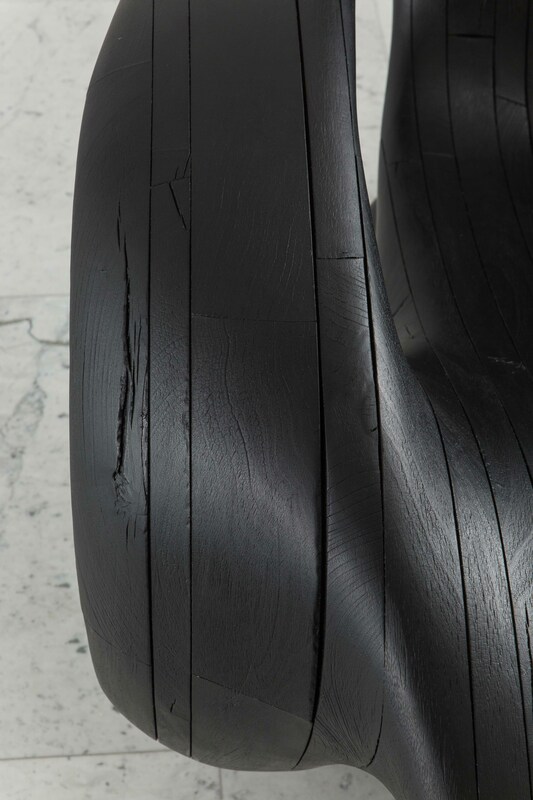 Rich in color and texture, walnut is also a relatively lightweight, superbly strong, and versatile wood. 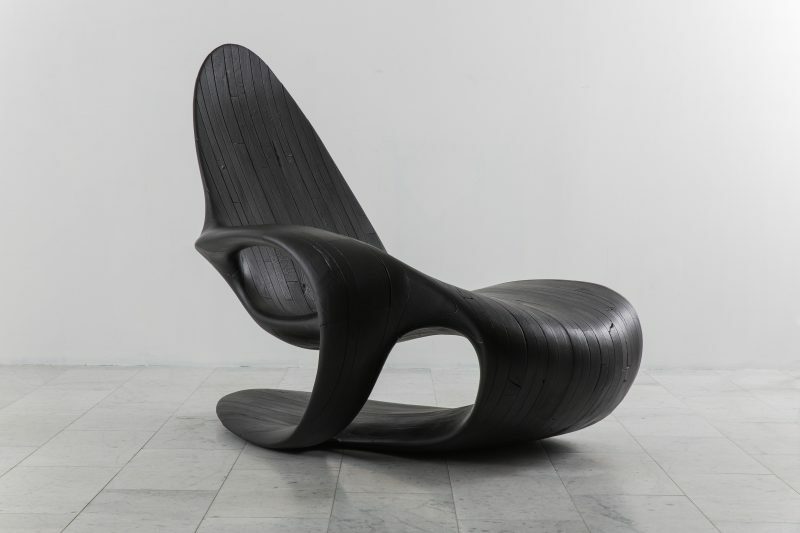 The wood that composes the pictured chaise came from trees grown and harvested in Dordogne, a region in France famed for its walnut production that has persisted for centuries. 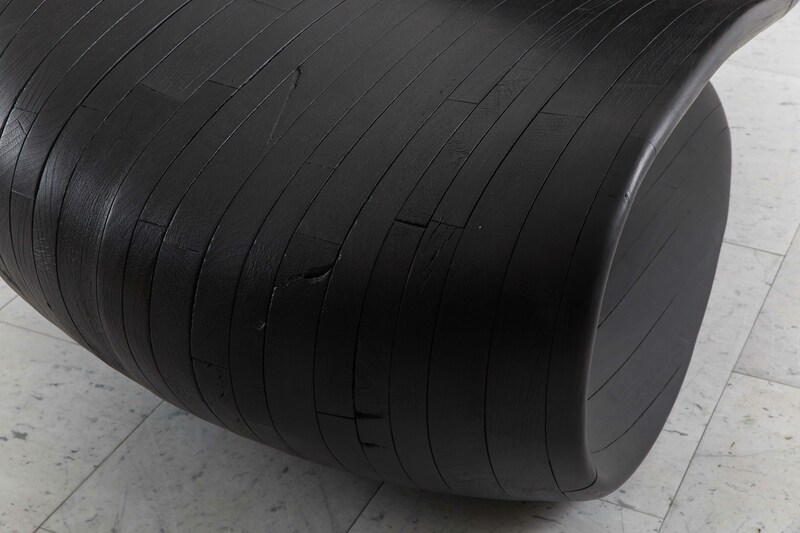 These trees, harvested using a sustainable farming model, were 100-year-old farming trees that had reached the end of their working lives. 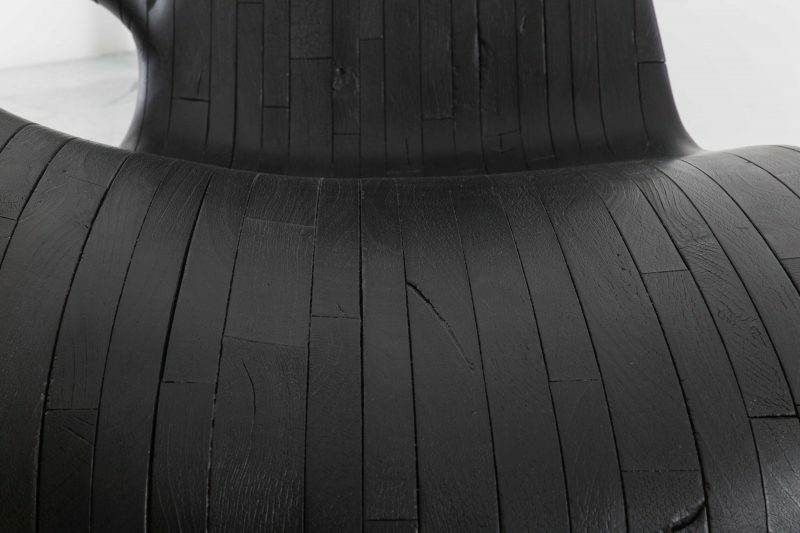 The wood is finished using the shou-sugi-ban method, an ancient Japanese finishing technique that preserves wood by charring it with fire. 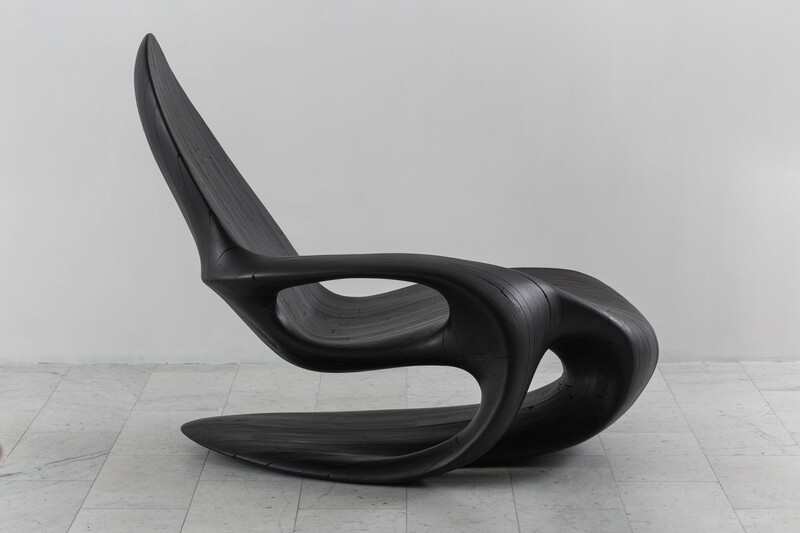 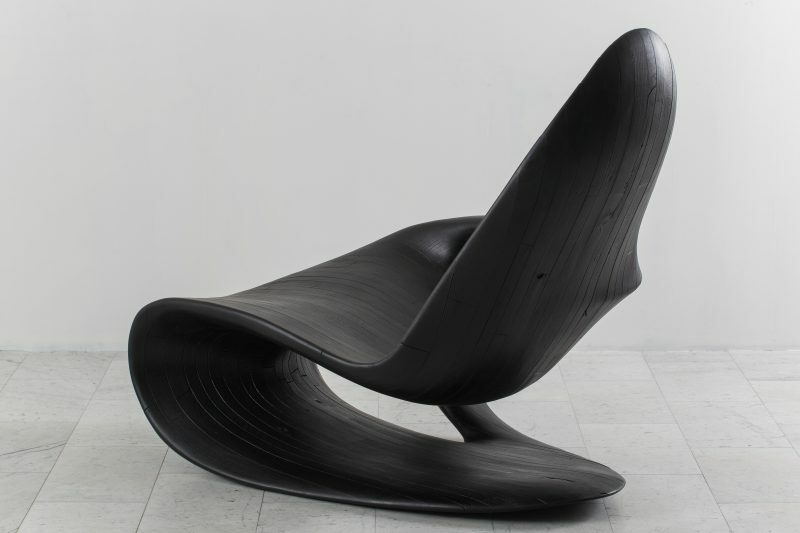 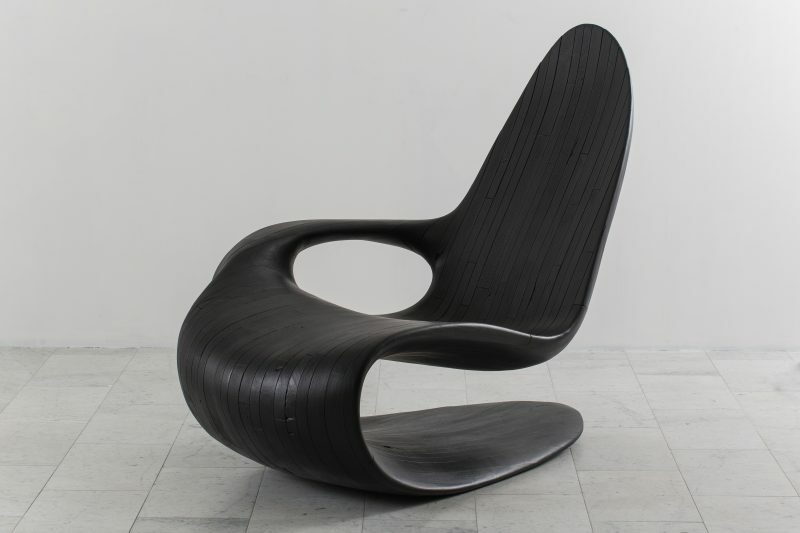 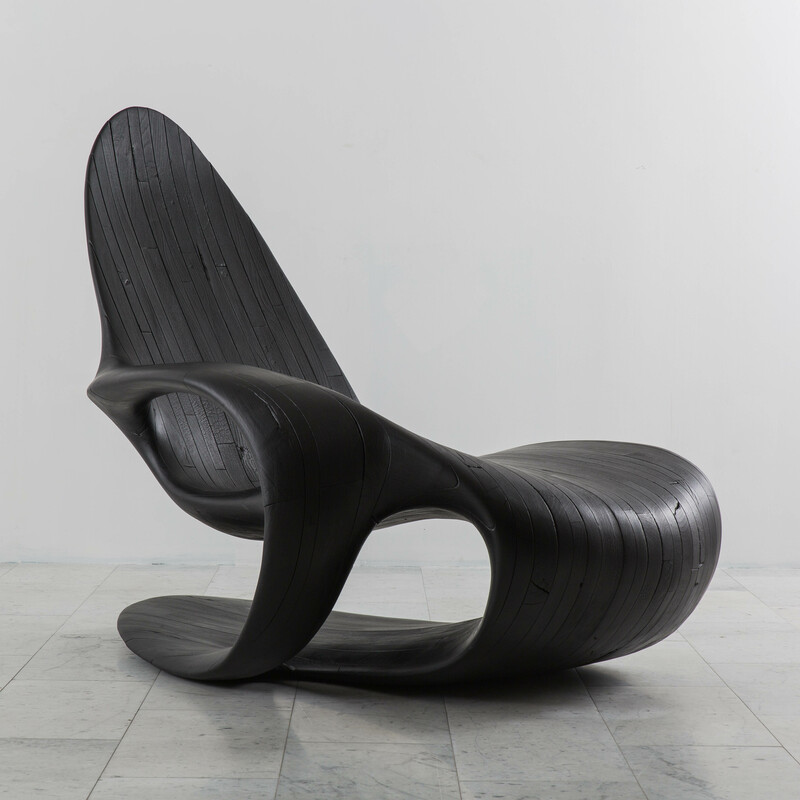 In addition to being aesthetically striking and elegant, the chaise is rot, pest, weather, UV light, and fire resistant. 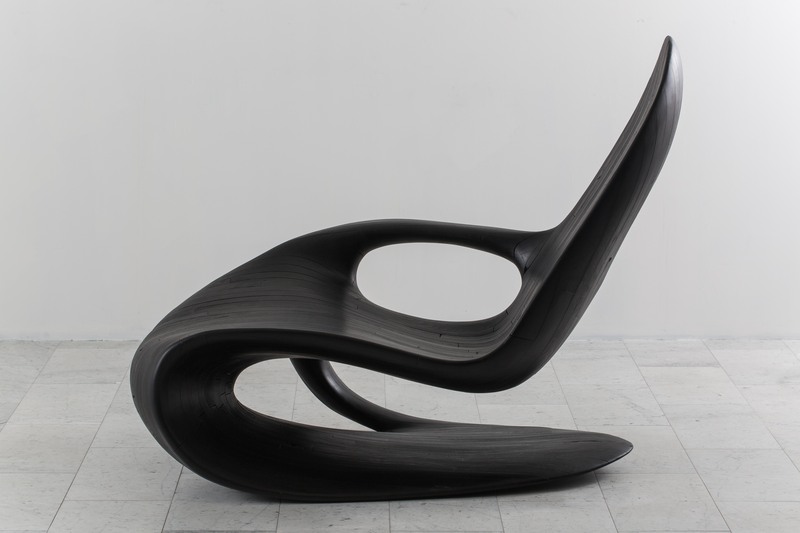 As Yard Sale Project works on a commission basis, a custom version of Chaise One may be commissioned.